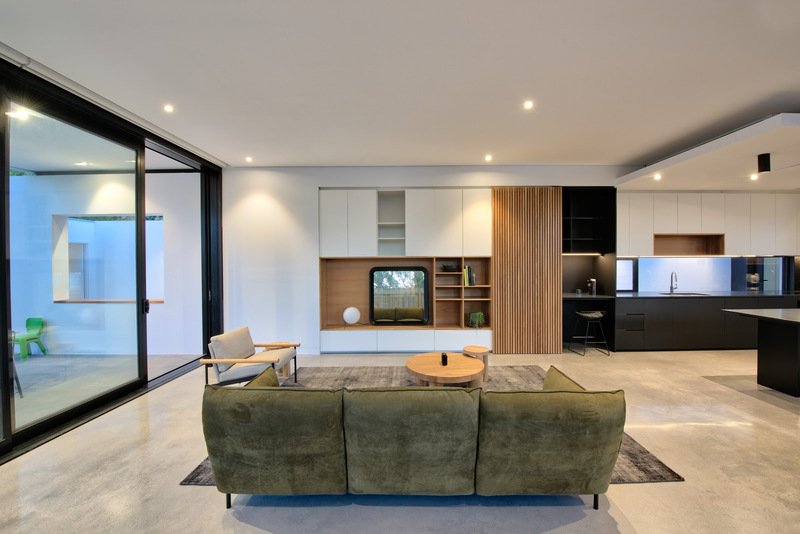 Nestled amongst the charming location of East Fremantle, a newly, custom built Sam Teoh project showcases modern architecture at its finest. 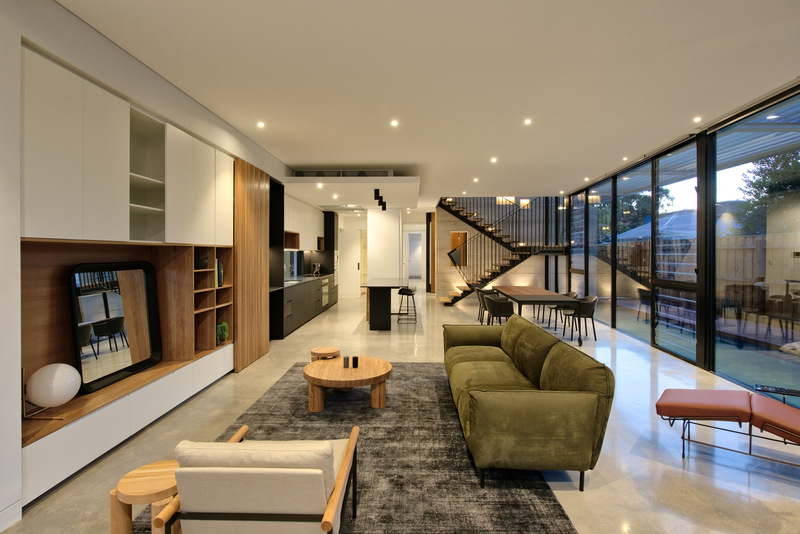 Think high ceilings, open plan living and strategically placed luminaires that compliment each architectural feature and provide the most functional illumination. 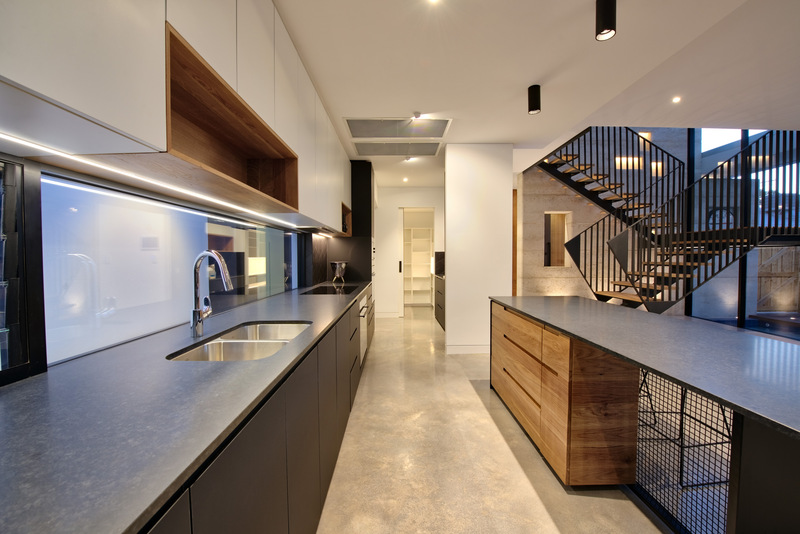 When approaching the kitchen, three Titanium Surface Mounted Downlights rest seamlessly above the counter. 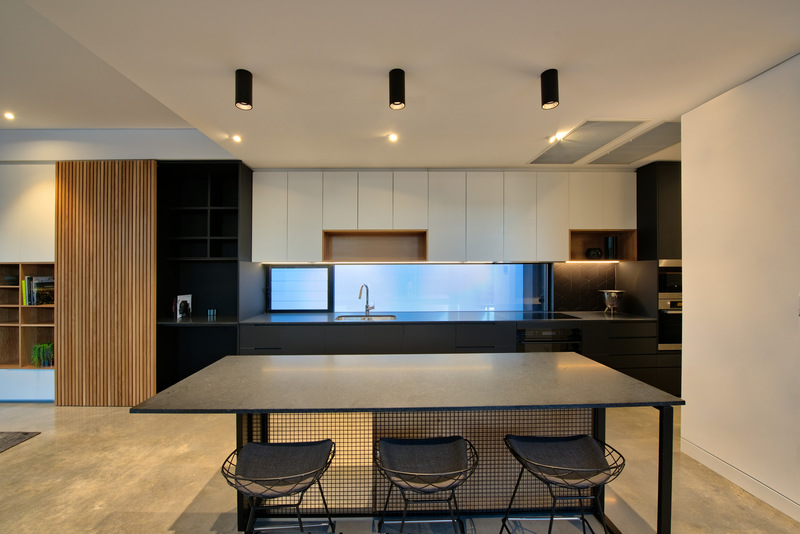 These luminaires not only provide efficient task lighting but create a dynamic feature with its black textures in the midst of this open planned living space. 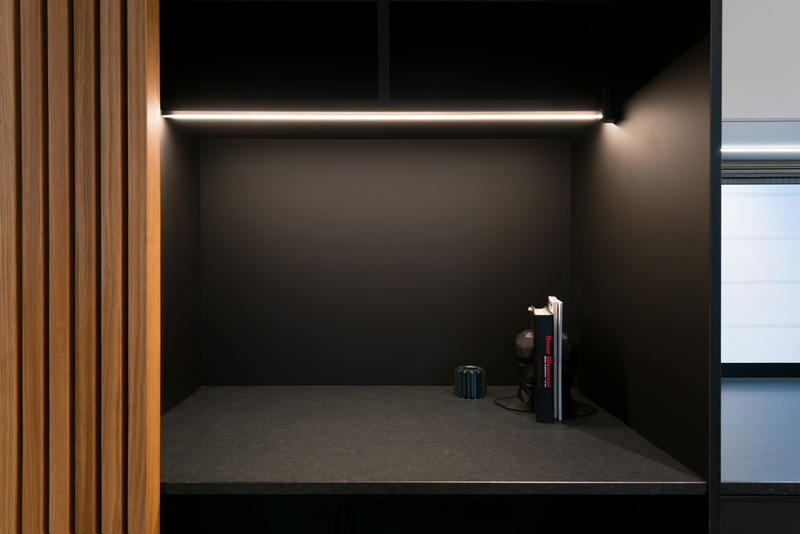 Coexisting with these surface mounted luminaires, our Apex Adjustable Downlights sit directly behind, generating the ideal ambient lighting that every kitchen requires. 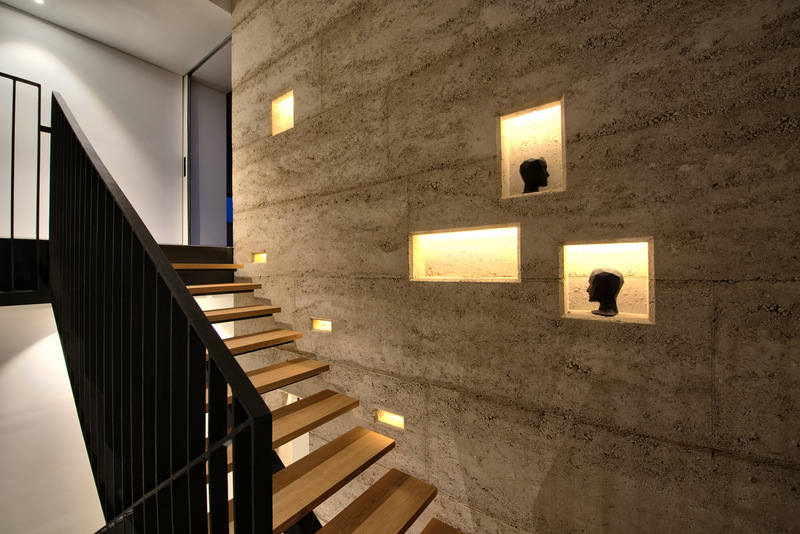 Eclipse Strip Lighting is a significant focus amongst the downstairs living space. 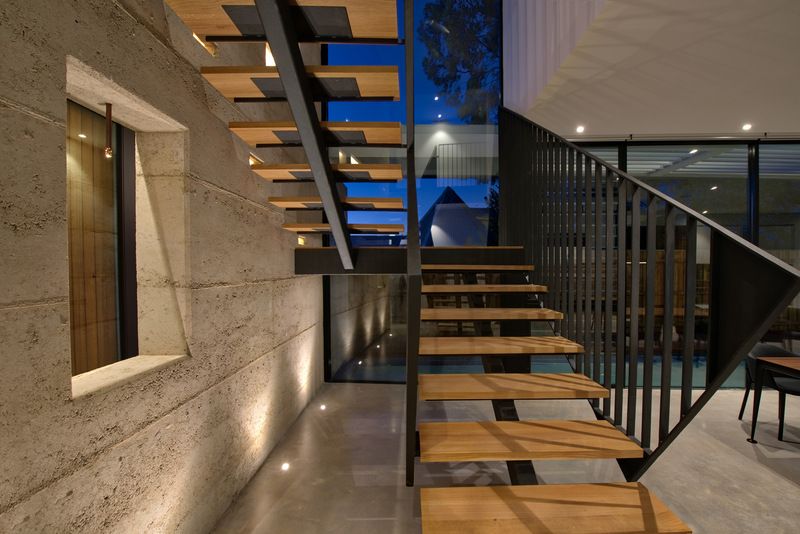 Set throughout, the strip light highlights specific features, adding a unique and compelling element to this contemporary built home. 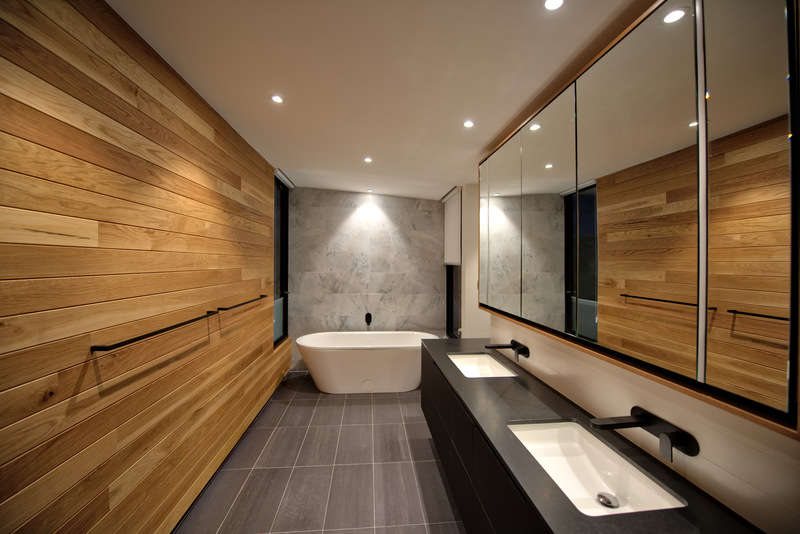 Upstairs, wood, marble and black tapware will greet you in the bathroom. With the Apex Downlight illuminating a soft wall wash above the free standing bath. 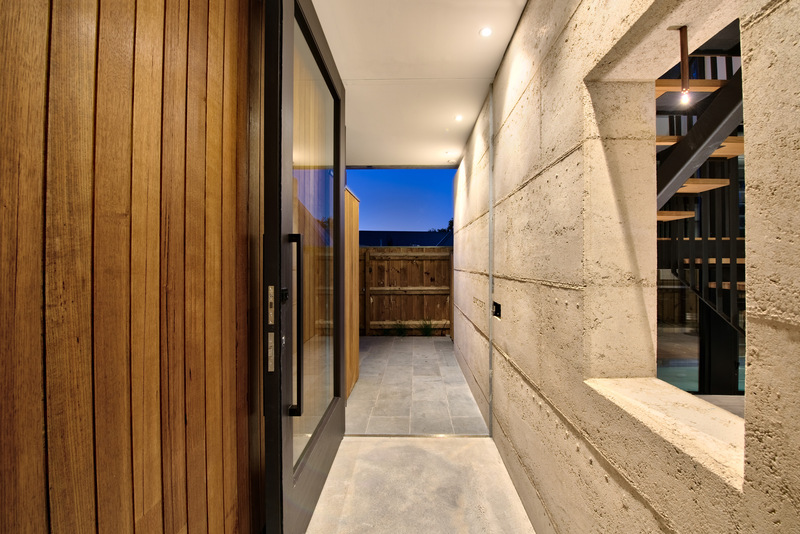 With the fixed Apex emitting in 3000K, the feature wood wall receives every bit of justice with this warmer tone. 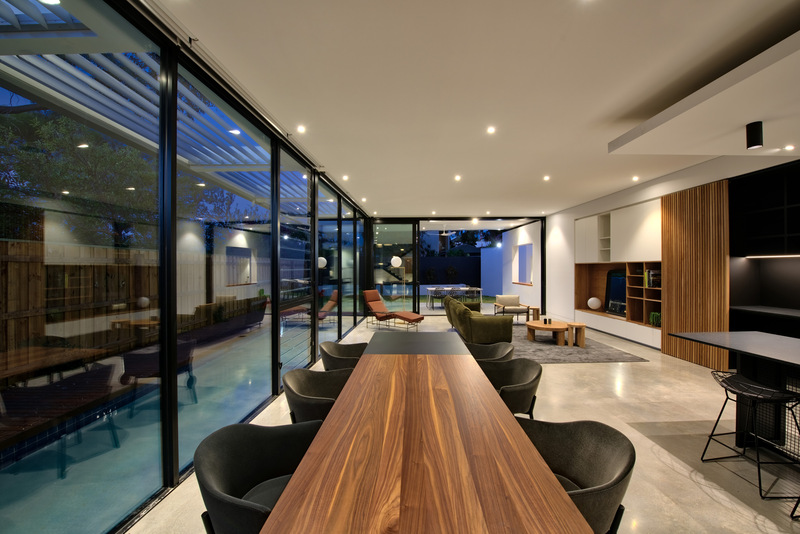 Strategically placed windows let in a filtered amount of daylight to naturally illuminate the space during the day. 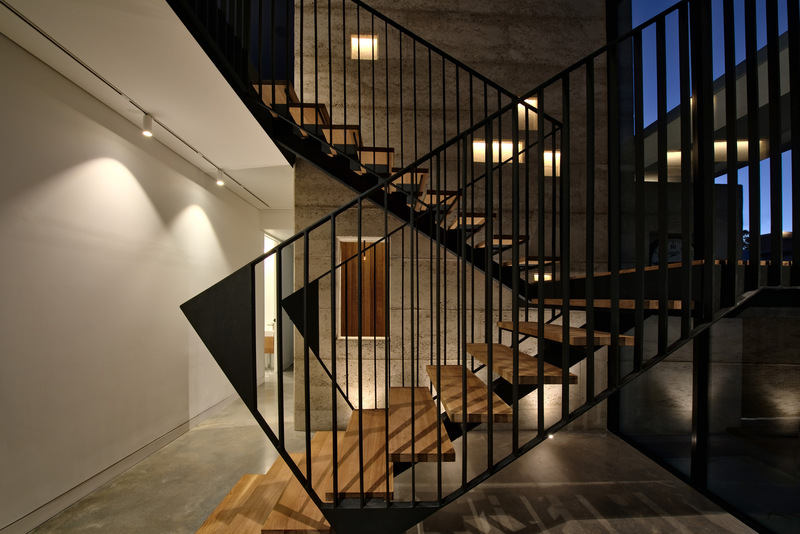 With every bit elegant as it is innovative, this custom designed home is every architect’s dream. Contemporary living has never looked better.